September 16, 2014—–Methane is a gas found in small amounts in the atmosphere under natural conditions. It is a gaseous hydrocarbon that is clear, odorless and flammable. It forms in the natural environment largely from the decomposition of organic matter. It has begun to accumulate rapidly in the atmosphere. Since 1750, the level of methane more than doubled from about 700 to 1800 parts per billion (ppb) in 2013. The current level is the highest in at least the last 650,000 years. About half of the increase has occurred just since 1960. The additional methane comes from a variety of sources. Two of these are related to the exploration and use of natural gas. The major component of natural gas is methane. Methane is one of the greenhouse gases responsible for global heating. It is 20 times more effective weight to weight at absorbing earth radiation than is carbon dioxide. It is second only to carbon dioxide in importance as a greenhouse gas emitted in the United States. It accounts for about 23 % of greenhouse gases. The combination of carbon dioxide and methane combined account for 93% of greenhouse gas emissions at present. It has long been known by geologists that shale deposits deep underground often contains natural gas. The drilling for natural gas in shale contributes to the concentration of methane in the atmosphere. In the process of drilling streams of natural gas are often emitted. The process of producing natural gas involves drilling vertically into a shale deposit. Once in the shale the drill is turned to work horizontally. A variety of chemicals and other ingredients are sent down the well under high pressure. This breaks up the shale and releases the natural gas. At this stage there is often a flow back up the well that sends a mixture of methane and drilling material out of the well. 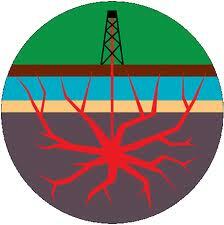 This form of well drilling is called hydraulic fracturing or fracking. Fracking thus adds to atmospheric heating. The leakage occurs in the drilling process before actual production from the well begins. There are some 38,000 such wells in the United States and the number is growing rapidly. A survey of fracking sites in Pennsylvania revealed drilling operations emitting plumes of methane up to 1000 times greater that the EPA expects at this stage of drilling. Atmospheric tests over the United States indicates average emission rates from drilling is some 50% higher than EPA estimates. The EPA does not regulate emissions from fracking wells. At the present time natural gas is less a contributor to global warming than the carbon dioxide from burning coal. If and when the percentage of methane escaping from the drilling exceeds some 3.2 percent, then the methane makes more of an impact than does carbon dioxide. Recent data indicates that in some cases leakage runs as high as 17 percent. The second way in which the use of natural gas increases the atmospheric concentration of methane is through leakage in natural gas pipelines. All of the pipelines around the world leak methane. In Washington D.C. recent research determined that there were about 6000 leaks in the pipeline network within the city. The average amount of natural gas leaked in Washington D.C. is more than twice the natural average. The leaking gas can be determined to be from natural gas that has been mined, by its chemical nature. Mined natural gas has other forms of volatile gas such as ethane and propane, which gas forming at the surface does not have. Recent studies also indicate that emission rates are as much as 75% higher than EPA estimates. In many cases of leakage, the concentration is so high it is potentially explosive. Globally, there have already been many cases of explosions occurring which result from leaking natural gas. It should be mentioned here that, in many parts of the earth, the major source of methane comes from livestock. It is also hard to determine on a global basis which source of methane is the most significant in terms of global temperature rise, but all contribute. It seems certain that methane concentrations in the atmosphere will become a greater factor in global warming. Categories: Fossil Fuels, Renewable Resources | Permalink.